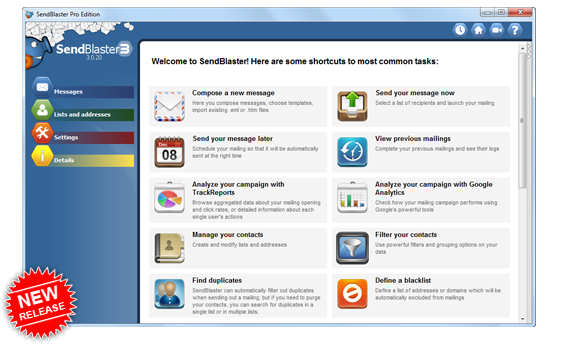 SendBlaster is the best bulk email software to manage your mailing lists and set up email marketing campaigns in few easy steps. 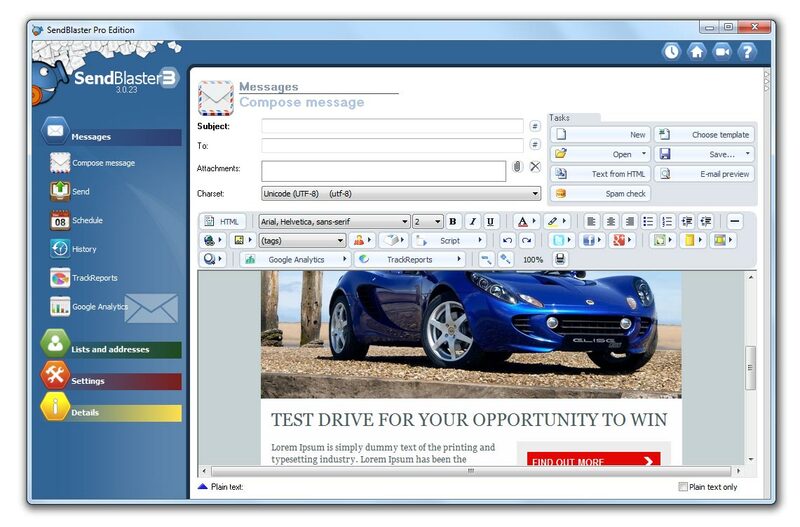 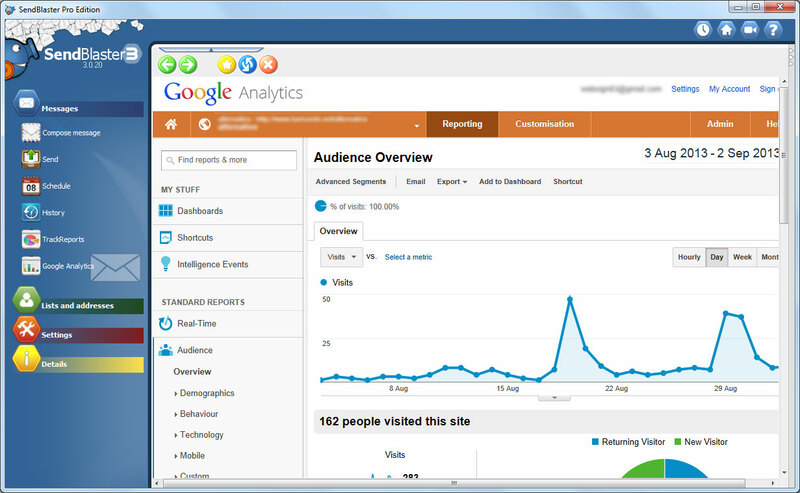 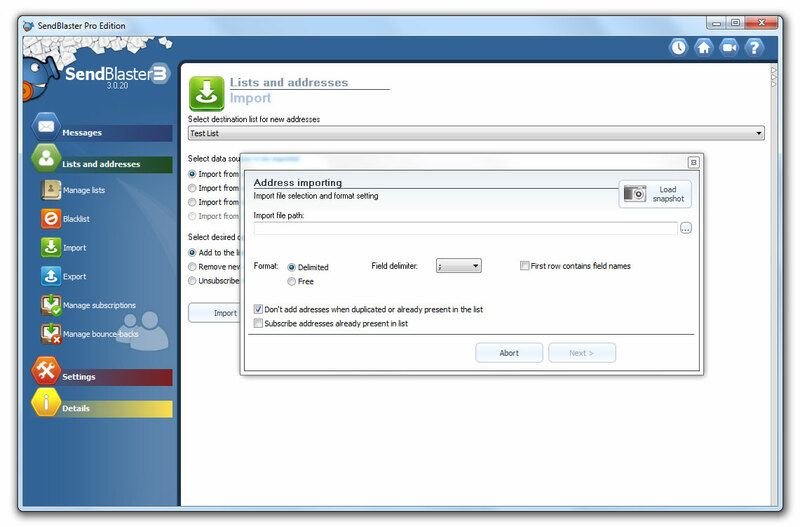 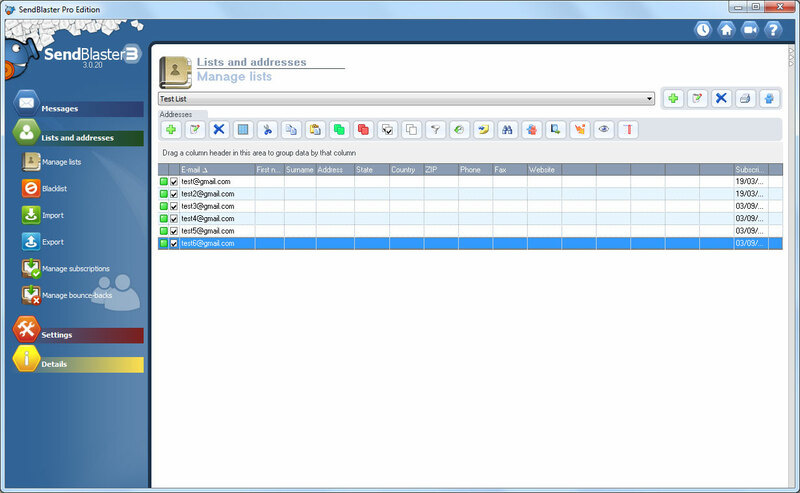 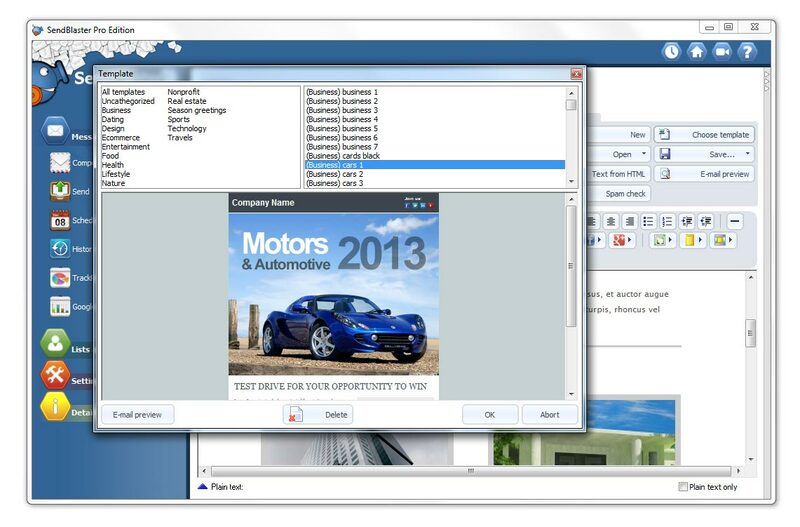 SendBlaster combines into one product the practicality of a mass email software with the flexibility of a web service. 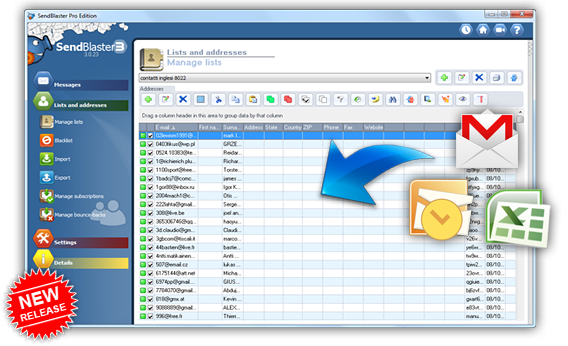 On the one hand you create newsletters and manage lists directly on your desktop: on the other you get a cloud email tracking service to handle reporting and improve your email campaigns. 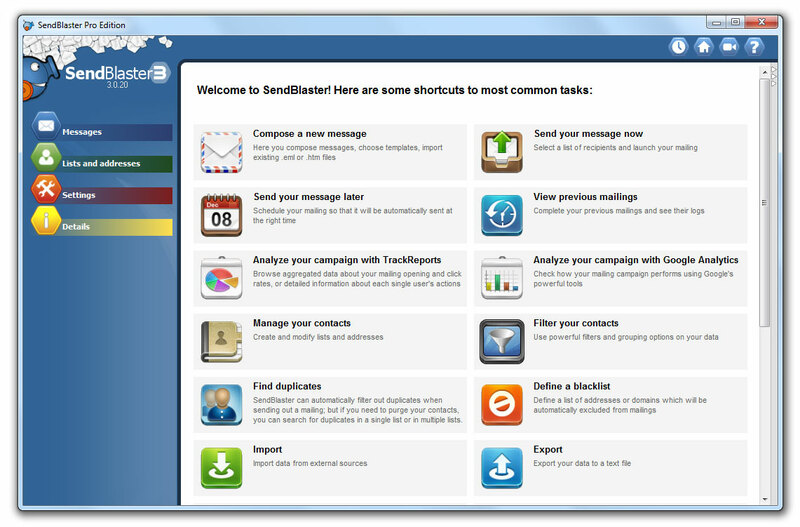 Our brand new release SendBlaster 3, full of amazing features, is available both as a free solution and a professional one with no subscription needed, just a single payment for a lifetime license. 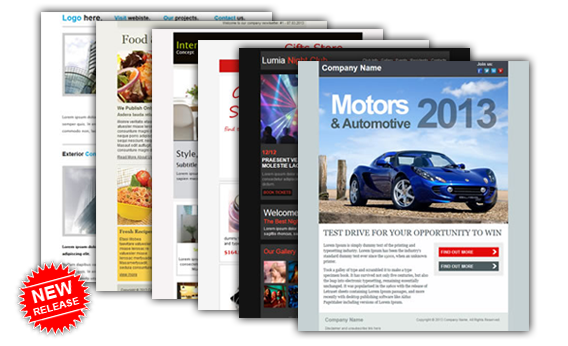 Plus, we are proud to offer a 15 days money back guarantee. 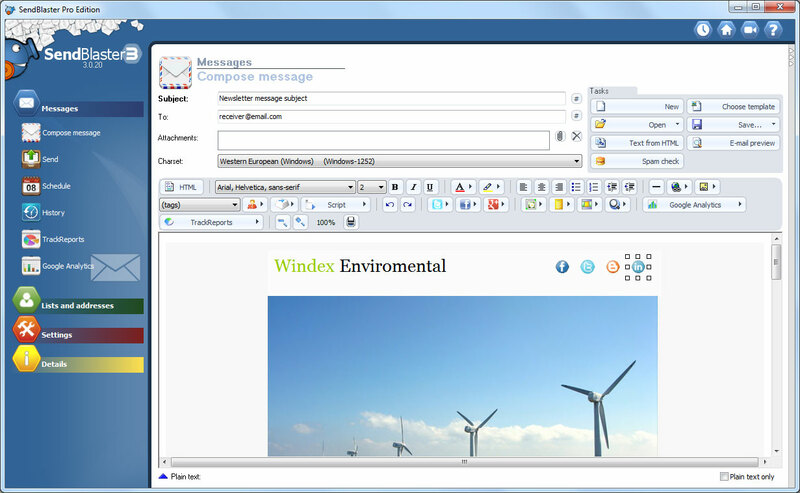 We think that the best way to let you know our product is to let our customers speak. 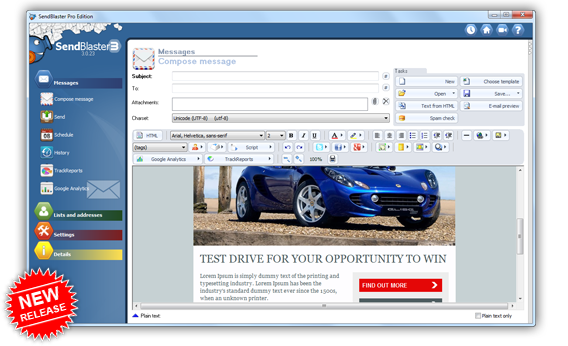 So here’s a few lines by the ones who have bought our mass emailer and taken real advantage of it.